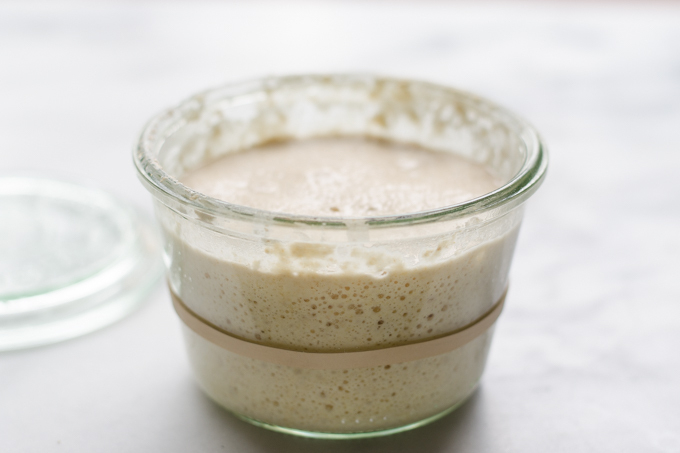 Making a sourdough starter from scratch is super easy, it just takes a little time. As you guys probably know by now, I’m a *tiny* bit obsessed with all things sourdough. And for good reason: not only is sourdough healthier than regular baked goods, it tastes better. 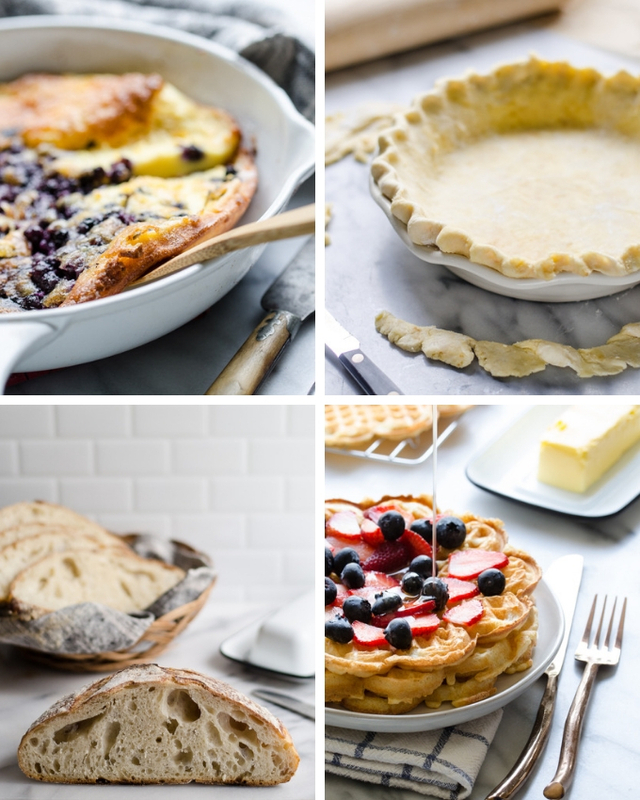 I’ve made everything from bread to biscuits to waffles to Dutch babies with sourdough. Turns out they’re like an enhanced version of the original recipes. If you’d like to experience some really beautiful flavors, I encourage you to get into baking with sourdough! But beyond scrumptious flavors, sourdough has some amazing health benefits over regular baked goods. The fermentation process breaks down phytic acid (a plant toxin), starches, and gluten, making the flour easier to digest. Have I convinced you to try sourdough baking for yourself? A sourdough starter is a mixture of flour and water that contains beneficial bacteria and yeast. You use it in place of active dry or instant yeast to leaven baked goods. 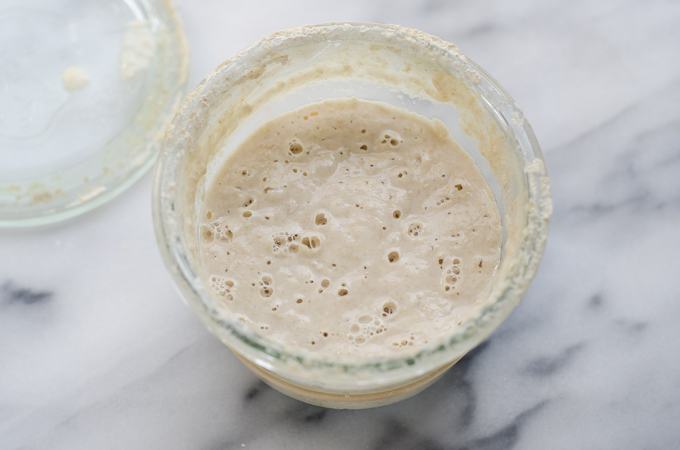 How do you make a sourdough starter from scratch? There’s absolutely no doubt that the easiest way to start your sourdough journey is to bum some starter off of a friend. This is how I started cooking with sourdough. But if you’re not lucky enough to have an avid sourdough baker as a friend, you can always make a sourdough starter from scratch. It’s pretty easy to do. You simply mix together equal portions of flour and water, let it sit in a warm spot, and feed daily. Once your starter is nice and strong, you can use it to bake bread, pancakes, biscuits, etc. It typically takes about a week of regular feeding before you can use your starter. Here’s the starter that I made from scratch. The rubber band shows the height of the starter before it rose. It’s nice and bubbly, which shows that the bacteria and yeast are active. 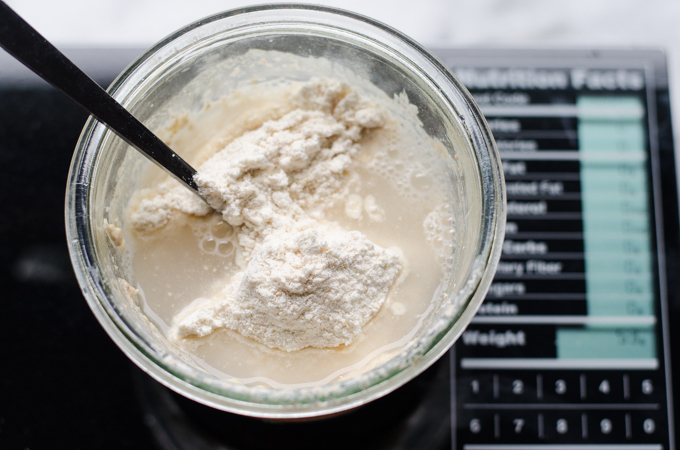 If you’d like to get the full tutorial and recipe for how to make a sourdough starter from scratch, make sure to check out my post on The Pioneer Woman’s blog HERE. Here is a loaf of bread that I made from my starter that was only a little over a week old. It turned out to be delicious! 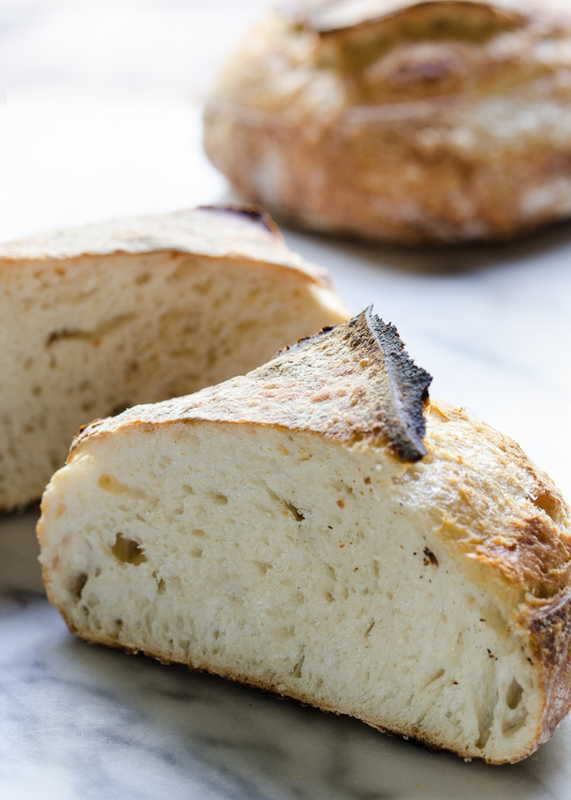 What can you make with a sourdough starter? There are endless possibilities for what to make with your sourdough starter. You can find a recipe for just about anything that has a conventionally-raised counterpart. Sourdough Dutch Baby – deliciously yeasty! Sourdough Pie Crust – so flaky! Overnight Sourdough Waffles – crispy and yeasty and oh-so good. Artisan Sourdough Bread – AKA the best bread I’ve ever made. I’m going to be sharing more sourdough recipes in the future here on Buttered Side Up, so make sure to grab my recipe for sourdough starter from scratch, get your starter going, and start experimenting with sourdough! You won’t want to miss out on my soft sourdough sandwich bread (recipe coming soon), and pillowy sourdough biscuits. I just wanted to say this may be the nudge I need to finally start sourdough…. thanks for the encouragement!